I am thrilled to share that James and I are getting married next May in the Napa Valley. We chose a private estate located high above St. Helena to be the venue for our wedding. 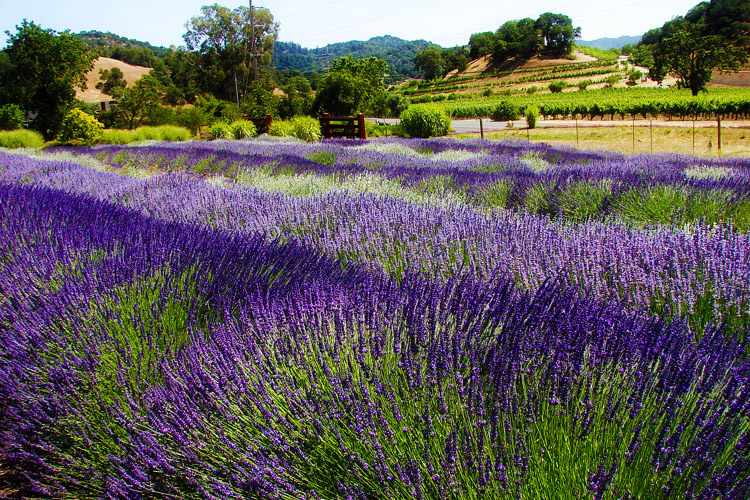 The private estate has breathtaking, sweeping views of the valley and is reminiscent of Tuscany with gorgeous lavender fields and gardens. Our amazing wedding planner, Kathy Higgins, has advised and guided us through every step of the process and with her helping I know we could not be in better hands! Once we had the venue, we moved forward and Kathy helped us put an incredible team in place. We are so excited to work with our caterer Paula LeDuc, florist Kathleen Deery Designs, and photographer Sylvie Gil to plan our wedding. We are headed out to Napa Valley in October for what will be a fun long weekend of wedding planning, food tasting, cake trying, wine drinking and more! I promise to take lots of photos and share the whole exciting process! Once we decided upon a venue and a date, everything else really started to fall into place. I was more than slightly stressed until we reached this point. I always imagined that I would get married in my hometown of Charleston, S.C. I had the whole weekend mapped out in my head and imagined a large tent at Drayton Hall. What I learned is Charleston is the number one wedding destination in the US and dates and venues are scarce or non existent for the next two years. Yikes! What is amazing is I am now relieved the wedding is not in Charleston and could not be more excited about Napa. I guess I am lucky that Charleston is so popular because it allowed us to find our perfect wedding spot. It just feels right and like us!